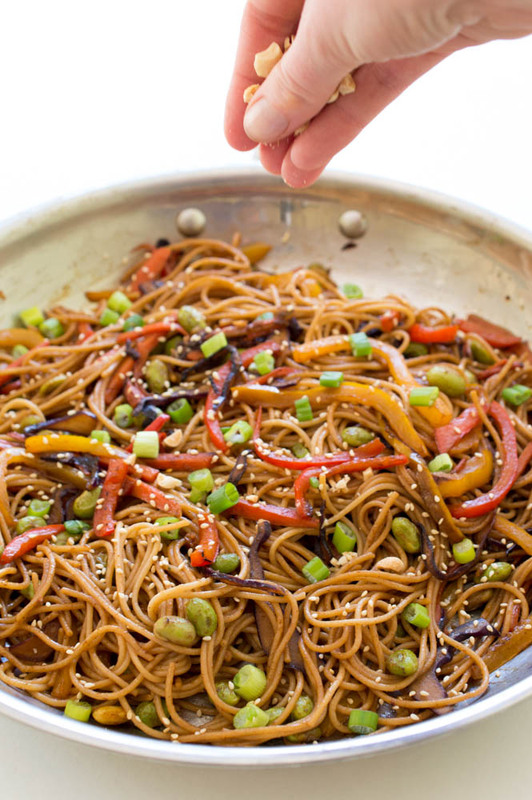 Rainbow Vegetable Noodle Stir-Fry. 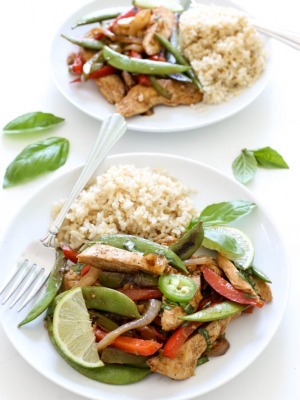 A quick and healthy weeknight dinner that takes less than 20 minutes to make! Stir fry’s are so easy to make. That’s why I love them. They are perfect for fast weeknight meals. 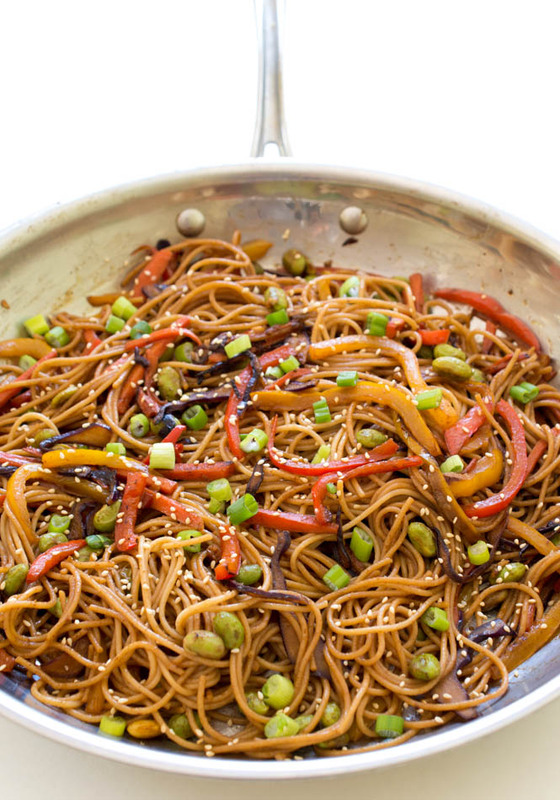 This Vegetable Noodle Stir-Fry is fast and healthy. Loaded with colorful vegetables and whole wheat spaghetti. The noodles and veggies are tossed in a light sesame peanut sauce and topped with crushed peanuts. 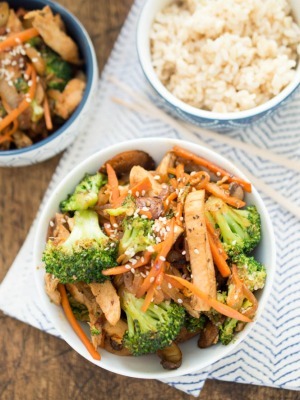 This stir-fry can be made in under 20 minutes or less! 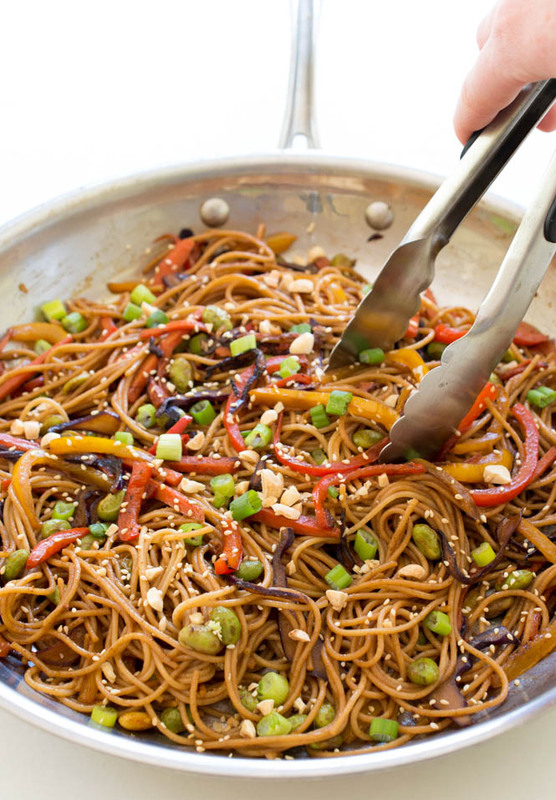 Colorful tender vegetables, crunchy peanuts and whole wheat noodles make this the perfect combination. For the rainbow vegetables I used edamame, green onion, red cabbage, carrots, yellow and red bell peppers. Stir-Fry’s are a great way to use up leftover vegetables. While your pasta is boiling saute your vegetables. Make the sauce and toss in the pasta. 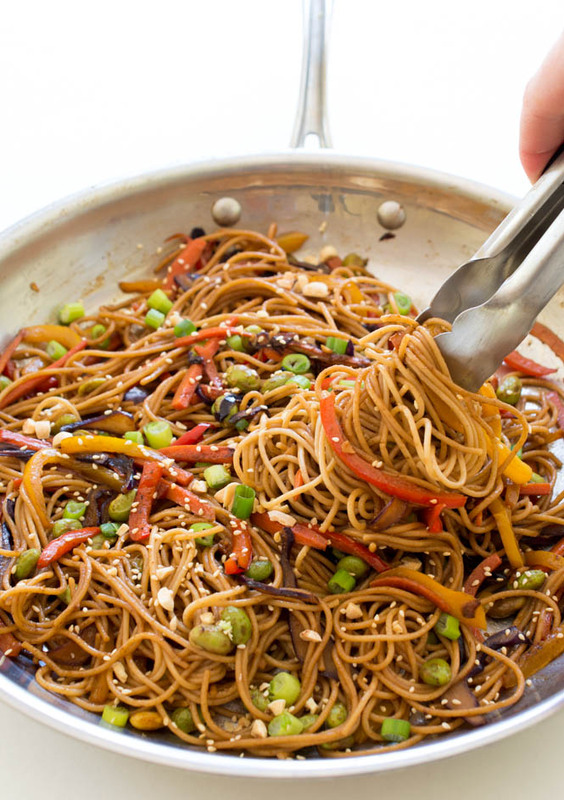 Make this meal gluten free and substitute the noodles for zucchini noodles. Add some extra protein with chicken or tofu. For a bit of spice add some sriracha or crushed red pepper flakes. Meanwhile in a large skillet heat oil and add cabbage, bell peppers and carrots. Saute for 3-4 minutes until tender. Toss in edamame and garlic. Cook for 1 minute. Stir in peanut butter, soy sauce and sesame oil. Add in cooked noodles and toss to coat. Sprinkle with sesame seeds, green onions and crushed peanuts if desired. This was even better than I thought it would be. I loosely doubled it, and the proportions were perfect. I used tamari for soy sauce and substituted mushrooms for carrots. I left out the edamame because so had none. There are a lot of ways to prepare this dish. 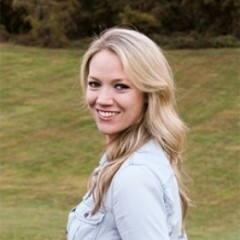 Thank you Robin! So glad you enjoyed this!